Last week, I hit the links in Tennessee Titans head coach Mike Munchak’s 17th annual charity golf tournament for the United Way of Lackawanna and Wayne Counties (PA). It was the second year I participated in the event — showcasing my inept golf skills for a good cause. While it started out as another day on the course, after the tournament — when everyone gathered at the Country Club of Scranton — I realized I was a part of something unique. Shortly after dinner, a representative from the United Way announced that after 17 years, Munchak’s tournament has helped raise over $500,000 for the organization. Half a million dollars is a lot of money, and the community’s accomplishment in raising it is a testament to Munchak and what he means to the region. But it’s also a testament to Scranton, itself, which has supported Munchak from the very start of his football career. Munchak played football at Scranton Central High School before arriving at Penn State in 1978. He started for the Nittany Lions in 1979 and 1981 (he sat out all of 1980 with a knee injury) and was named second team All-American his senior year. Being that Scranton is only 3 hours away from Happy Valley, it wasn’t hard for Munchak’s fans to make trips out to see him play in college. 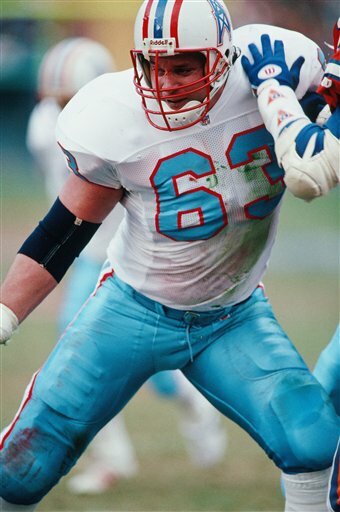 And when he was drafted 8th overall by the Houston Oilers in 1982—the first offensive lineman chosen in that year’s draft — Scrantonites would drive to every east coast game they could to see their local boy play in the pros. Twelve years and 9 Pro Bowls later Munchak entered the coaching ranks, and he did it with the Oilers (later the Titans) franchise — first as an offensive assistant/quality control coach, then as an offensive line coach, and eventually as the head coach. 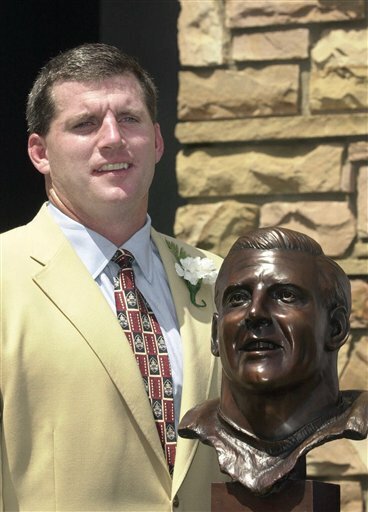 In 2001, the Scranton native was inducted into the Pro Football Hall of Fame. And yes, you guessed it, many supporters drove from Scranton to Canton to see their former neighbor enshrined. Munchak is well aware of the support he gets from his hometown. He even thanked them in his Hall of Fame acceptance speech. And that’s why he continues to help his community by returning to Scranton every year for his charity golf tournament. They’ve supported him throughout the years, even naming the street his former high school resides on, Mike Munchak Way, and now he continues to give back. Overall, this year’s event was a success as usual, and for me personally, the tournament was more successful my second time around. My team beat Coach Munchak’s team by 4 strokes. I arrived in the morning proud to be supporting the United Way, but I left that night ALSO proud to say I beat an NFL Hall of Famer in something!